Learn to West Coast Swing, Cha-Cha, or the Jitterbug! 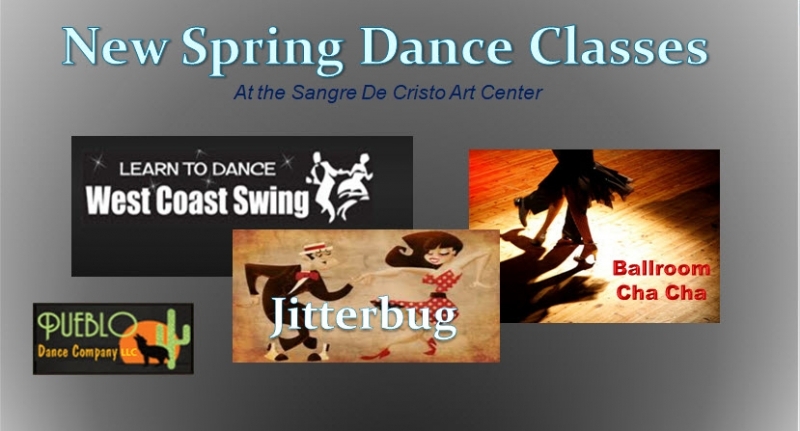 New social dance classes being taught this spring at the Sangre de Cristo Art Center! A beginners class that will get you dancing this Latin dance to Cha-Cha rhythms of various genre of music. 8:00-9:00p Have a blast dancing this easy single count swing dance. No partner required for these six week sessions starting April 17th-April 22nd. Call the Sangre de Cristo Art Center at 719-295-7200to register and cost or 408-476-7913 for additional questions on the classes.